How Does Red Light Fat Reduction Work? 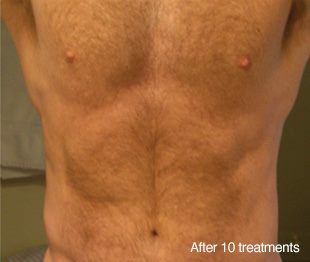 Dr. Kells’, DC, Weight Loss Red Light Technology has been designed to produce results without the dangers of invasive liposuction surgery . It painlessly emulsifies fat in the tissue under the skin and allows the body to safely eliminate the emulsified fat to reduce inches from target areas; slimming and reshaping body lines while tightening and toning loose skin. Where Does That Fat Go? The liberated emulsified fat is released into the lymphatic system and processed by the liver as part of the body’s normal course of detoxification. The transitory pore in the fat cell will close in about 48-72 hours and the liberated contents will be expelled in the patient’s stool and urine over the next few days. Yes! Completely non-invasive, red light technologies have never shown any recorded side effects and patients do not experience any discomfort during the treatments. Some people ask if the light is too bright. The Red Light modulator is not as bright on your skin as walking into the midday sun, and does not include dangerous UV like the sun. Yes. Patients with a higher metabolic rate are better able to excrete the fat cell contents and enjoy better results. However, the technology works for patients of all ages and skin types. ​Is Red Light Fat Reduction For Everyone? No. It should not be used by pregnant women, individuals with active cancer or people with cirrhosis of the liver. When fat cells are emptied, the fatty acids and triglycerides are processed by the liver to be voided from the body. Accordingly, individuals with compromised liver function should not receive Red Light Therapy. 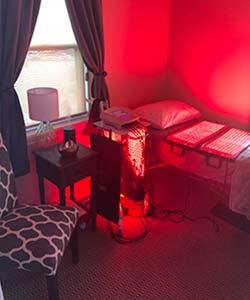 What Can Red Light Therapy Do For Me?